In the PS4 Multiplayer game Jump Force you can unlock a total of 50 trophies. In this Trophy Guide we show you all the trophies and their tasks. 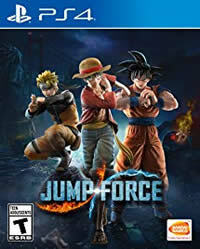 More Guides and News about Jump Force you will find on our overview page. Jump Force will be released on February 15, so this trophy guide will be redesigned as soon as we have access! Stay tuned!